This module will enable you to develop the skills and knowledge to work as a practice teacher for specialist practice students (usually health visitors, school nurses and district nurses) during their community placements. You will be able to facilitate learning for individuals and groups in a practice setting and to apply strategies to monitor, measure and evaluate learning in practice. Following successful completion of the module you will be eligible to enter the local health service provider register, which is held by your employer, as a practice teacher. You must be in a position to work with a specialist practice student whilst undertaking the module to demonstrate your competence and consolidate your learning. This module is worth 30 credits. PLEASE NOTE: Modules NMM961 and NMM109 are running together. Module NMM109 is a 15 credit module assessed by a 4,000 word essay assignment. Module NMM961 is a 30 credit module assessed by three pieces of academic work and a Practice Assessment Document (PAD). Participants in this module must have a post-graduate student to supervise in practice for a year, in order to achieve competencies required in the PAD. You need to be a qualified mentor and have qualified as a mentor at least 2 years before commencing the course. Since joining City, University of London in 2005, Raf has developed and led numerous educational initiatives at a School and university level. Rosemary joined the public health team in 2014 after a 30 year NHS career in midwifery and health visiting. 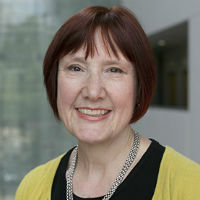 She has a BSc (Hons) in Specialist Practice Public Health (City Alumni) and has achieved the post-graduate Certificate in Education since her appointment as lecturer (Health Visiting) with City, University of London.